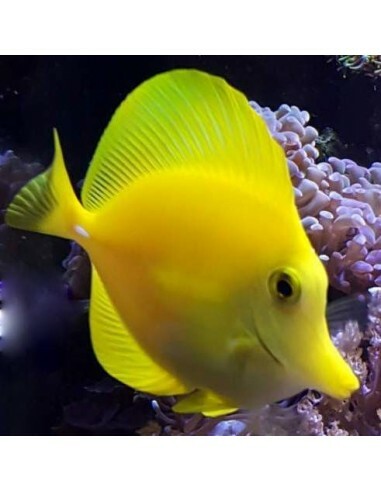 The Yellow Tang is a very popular fish for the marine aquarium. 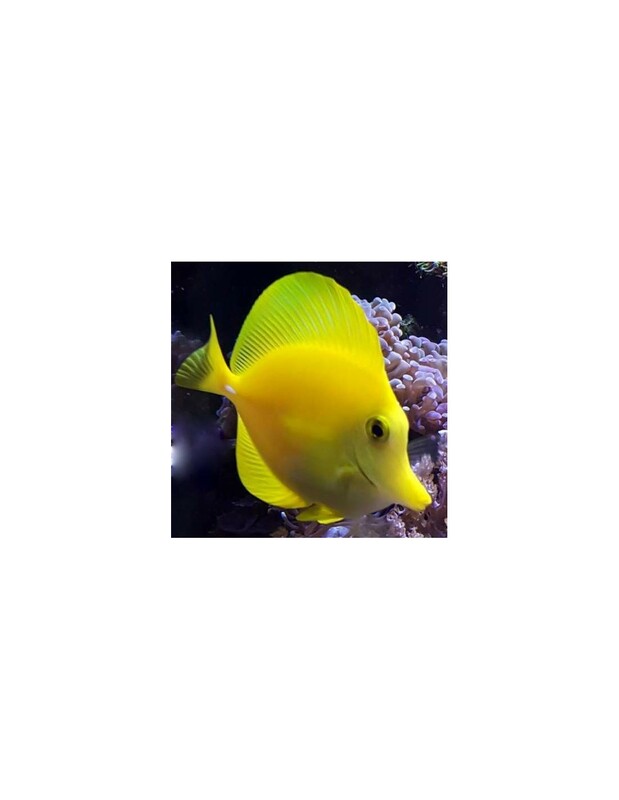 He is an active swimmer and will be with his bright yellow colour a beautiful and present fish in the marine aquarium. To keep this fish healthy and colourful he needs beside of some meaty food a large part of his daily diet in marine seaweed and algae. As he is a very active swimmer it is recommended to keep this fish in an aquarium of at least 100 gallons. The Yellow Tang is a very territorial marine fish and can be very aggressive towards other Tang Fishes. Therefore it is better to keep just a single Tang Fish in the aquarium unless multiple Tang Fishes are introduced at the same time.